If desired, swap the spice cake mix for Betty Crocker™ Super Moist™ yellow cake mix, and bump up the pumpkin pie spice to 1 1/2 teaspoons. This cake can be made using Betty Crocker™ Gluten Free yellow cake mix. Increase the pumpkin pie spice to 1 1/2 teaspoons, and bake as directed. As always, make sure all the other ingredients you use are gluten free. 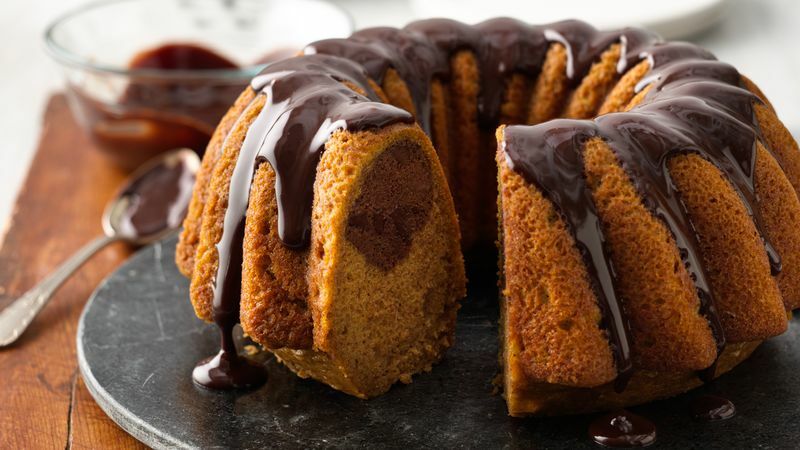 This cake was photographed using a rhonda bundt pan. Deeper pans like the rhonda bundt pan may require an additional 2 to 7 minutes of bake time.